Santander lies on Spain’s North coast and is the capital of Cantabria. This is where the ferry service from Portsmouth docks and, as well as being an ideal stopping off point, the best places to stay in Santander are great bases for exploring this most historic of cities. Santander’s origins are Roman and it owes its existence to the great harbour of the bay of Santander which became the most important port for Castille for trade with the New World. There was a great fire in 1941 which raged for two days and destroyed the old town, but don't let that put you off - there's still plenty to do and see! There are many beautiful Belle-epoque style buildings and a healthy foodie scene with loads of little tapas bars and restaurants on charming plazas and hidden down side streets. Culturally, there are various festivals from May through August which are worth visiting. During the early twentieth century Santander became the favoured summer residence of King Alfonso XIII with his Palacio de la Magdalena. It remains a popular beach resort to this day, with plenty of swathes of golden sand to satisfy even the fussiest. Santander is the birthplace of Seve Ballesteros, probaby Spain's most famous golfer (the airport is named after him). There is horse racing on the Campa de la Magdalene. For watersports enthusiasts there are surf camps for all standards! The historic Cathedral of Santander, with its lovely cloisters and impressive architecture. With free entrance and a fascinating collection spanning the centturies, you must give the Museum of Fine Arts a visit. The Palacio Real de la Magdalena (which is quite English in influence) boasts resplendent interiors and lovely views. Hike along the coast to the lighthouse of Cabo Mayor - be sure to remember your camera if you want to capture the beauty of the area! The best places to stay in Santander are ideal whether you're here for a few days or simply passing through. If you're planning a visit during the peak summer months, book well ahead, it's a busy city! 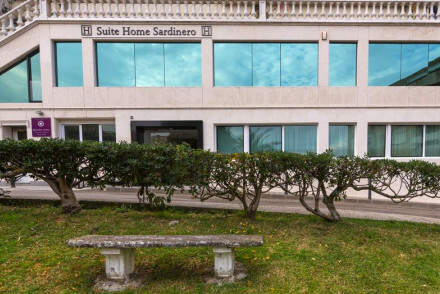 Jardin Secreto is an extremely comfortable guesthouse with a beautiful garden in the city centre, close to the fine art gallery. It offers great value for those on a budget and has a relationship with the Club Metropolitan Aqua-Floranes spa enabling guests to use the facilities at a reduced rate. Rooms start from just €65 per night! Le Petit Boutique Hotel is, unsurprisingly, a small boutique hotel just two miles from Sardinero Beach, Santander. There are seven, simple chic rooms starting from around £45 per night, plus a breakfast buffet. The best time to visit Santander is during the summer months, with the average daily temperature rising to 20°C in July and August. This however is peak season, so for a quieter and cheaper alternative consider visiting in May, September or October. International visitors can fly into Santander-Seve Ballesteros Airport, with Ryanair offering direct flights from Stansted and Edinburgh. From here, you can take the bus into the centre of town. Browse through our list of the best places to stay in Santander. This small boutique hotel is located just two minutes away from Sardinero Beach. It features chic, natural palette rooms which include free wifi and an LED TV. A breakfast buffet is served each morning, perfect for setting you up for a day on the beach or for exploring Santander and its sights. 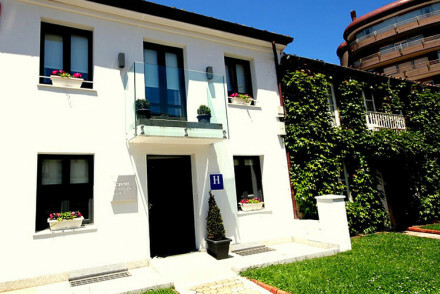 A cheerful guesthouse located in the centre of Santander. 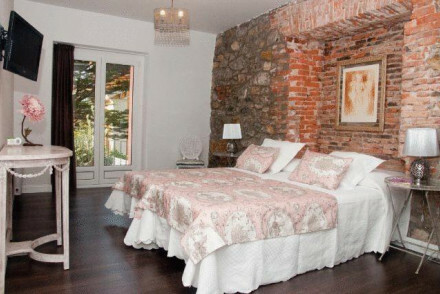 Its six comfortable rooms are all individually furnished, some featuring exposed brickwork and others wood panelling. Just a short walk from Santander's fine art gallery it is perfectly located for exploring the city. A superb value option. Spa - Guests enjoy special rates at the Club Metropolitan Aqua-Floranes Spa. Local markets - Pick your way through the bustling street markets of Satander. A chic pension, complete with 10 modern rooms, in the heart of the city. Light and airy accommodation is simple and smart with soft hues, minimalist furniture and luxurious bathrooms. Indulgent breakfasts are served and many of the city's sights are just a stroll away. Local exploring - Located in the heart of the city and within walking distance of many main attractions. Great walks - Explore the Magdalena Peninsula with many parks, rocky shorelines and beaches. Sights nearby - Visit the opulent Palacio de la Magdalena.